Raven Guard are not really known for their librarians. Corax did not approve of them and was not at the council of Nikae, and the legion followed it's edict and disbanded their Librium. That said, the Raven is very much a symbol of magic in literature and the telepathy rules in general seem to really work well with Raven Guard's style of play. In general, I would pick telepathy, largely because every power is useful if you build your list right. I find that librarians are especially good in 20 man tac squad with extra ccws, or with vets that are hth orientated. With Maun and decapitating strike you have a solid chance of going first when your opponent is sitting on their back board edge. Which can be really good with terrify and deathwind drop pods, since you can force them to run off their own back board edge. - dominate- you are so close that a unit will likely take a couple tests if they are going to move, shoot and charge you. Plus if you have shroud bombs... Take two leadership checks to charge :) Yeah, happens a lot against my mor deythan that just pounded you with rending flamers! - mental fortitude- I sit him in a unit of 20 tacs with extra ccw. So fearless is always welcome. It's actually the power I usually want most. Which is funny cause in 40k it's usually the power that I'm bummed if I roll. - terrify - Boo! Yeah you just ran off the board... Happened every game I used him! Also, good with shroud bombs. - invisibility- Again great when sitting in the tac squad. - hallucination - Interestingly, the -1 to initiative has come into play a couple times with all the blinding stuff. 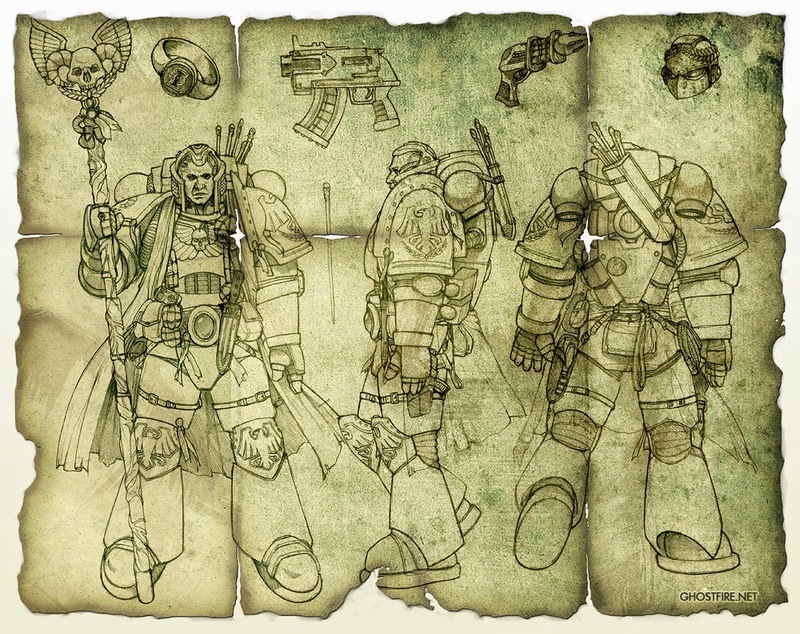 Not to mention "You, you're the traitor" is pretty perfect for Horus heresy! As for game play the units are so large, it's not a bad character sniping rule. You could also make a argument for divination as prescience is always viable as a force multiplier or for biomancy, which turns the librarian into a beast in hth with powers like iron arm. But from strictly a feel perspective and from a competitive perspective, I think telepathy is the way to go.